Right now there is the beginning of an arising of protests, civil disobedience, and energetic social discourse due to repeated violence happening to children. In the recent past these same activities arose due to the Black Lives Matter movement over violence happening to young black men at the hands of police officers. The question many Western Buddhists ask is how much should I get involved in these social movements. Is it appropriate? First let me say that this is why asking questions and opening up dialogue is so important in Buddhist practice, or any kind of social activity. This is one of the keys to being an effective social self and an agent of societal transformation even on a small scale. You might disregard something, or develop an opinion of something without enough knowledge to accurately do so if you fail to engage in communication. A good friend of mine always says, “We make the best decisions with the most information.” You may not always be able to get all the information, that just isn’t probable . . . but you can gather as much information as possible before making a decision. Then, you must remain open to changing that decision when new information is obtained. In the Shambhala Sun magazine, July 2003, John Malkin interviewed Thich Naht Hanh, a Vietnamese Zen Buddhist master who is credited with coining the term and concept of Engaged Buddhism. John Malkin: Will you describe the origins of Engaged Buddhism and how you became involved in compassion-based social change? Thich Nhat Hanh: Engaged Buddhism is just Buddhism. When bombs begin to fall on people, you cannot stay in the meditation hall all of the time. Meditation is about the awareness of what is going on-not only in your body and in your feelings, but all around you. When I was a novice in Vietnam, we young monks witnessed the suffering caused by the war. So we were very eager to practice Buddhism in such a way that we could bring it into society. 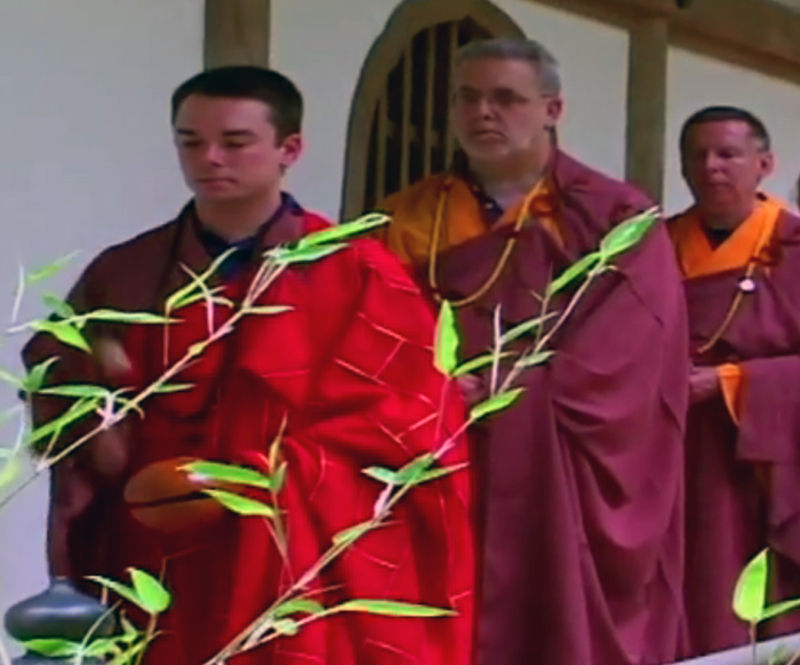 That was not easy because the tradition does not directly offer Engaged Buddhism. So we had to do it by ourselves. 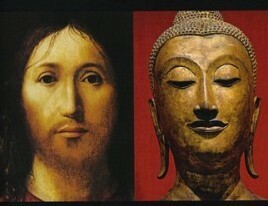 That was the birth of Engaged Buddhism. The Engaged Buddhist movement had it’s genesis during a time when the Vietnam war was bringing about a lot of suffering and unsatisfactoriness in people around the world. And, war being a reaction to a political decision, Engaged Buddhism got the ‘political activist’ label. Master Hanh realized that the war and its effects were causing not only physical suffering in Southeast Asia, but was also causing psychoemotional suffering there and in other parts of the world. He came to realize the world encompassing effect of the war when he came to the U.S. in the mid-sixties and experienced the fervor, the energy, and the impatience of the anti-war movement. Today the Engaged Buddhist movement and Master Hahn’s Order of Interbeing are promoting peace and compassion around the world through societal engagement. I encounter people who express that being involved with politics is unseemly or even plain wrong for a Buddhist. It is like they don’t believe that Buddhists are citizens of whatever country they live in. Politics is a human endeavor that has the power to create and/or alleviate human suffering and unsatisfactoriness. Buddhists are human, the goal of Buddhist practice is the alleviation of suffering, so politics and/or social engagement are viable and logical pursuits for some. One only has to study history to realize the connections between Buddhism and politics. When the Buddha offered teachings to King Pasenada, when King Ashoka altered the direction of his leadership as a result of his encounter with the dharma, when the Dalai Lama fled Tibet, up to the current time Buddhists, mendicants and adherents, have played a role in politics. Politics is a component of human interaction, interdependence and interconnectedness across the globe . . . but it is not the only avenue for positive social change. In the above interview Master Hanh alluded to the broader implications and responsibilities inherent in the practice of Engaged Buddhism, “Buddhism has to do with your daily life, with your suffering and with the suffering of the people around you. You have to learn how to help a wounded child while still practicing mindful breathing. You should not allow yourself to get lost in action. 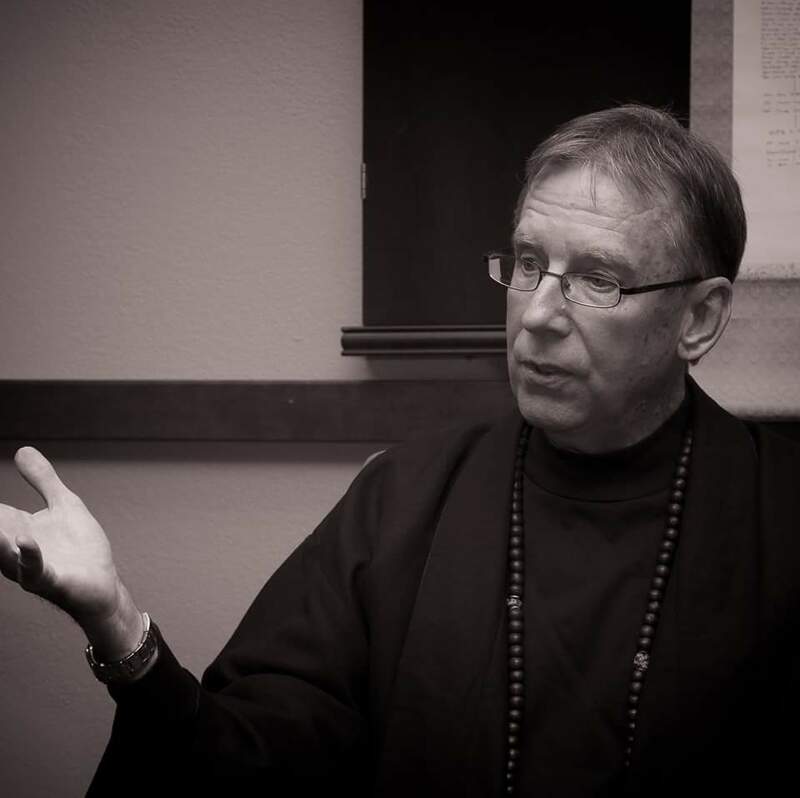 Action should be meditation at the same time.” While Master Hanh isn’t involved in Engaged Dharma, the intent of our study and practice has parallels to Engaged Buddhism and expands that ideal beyond the realm of the political. 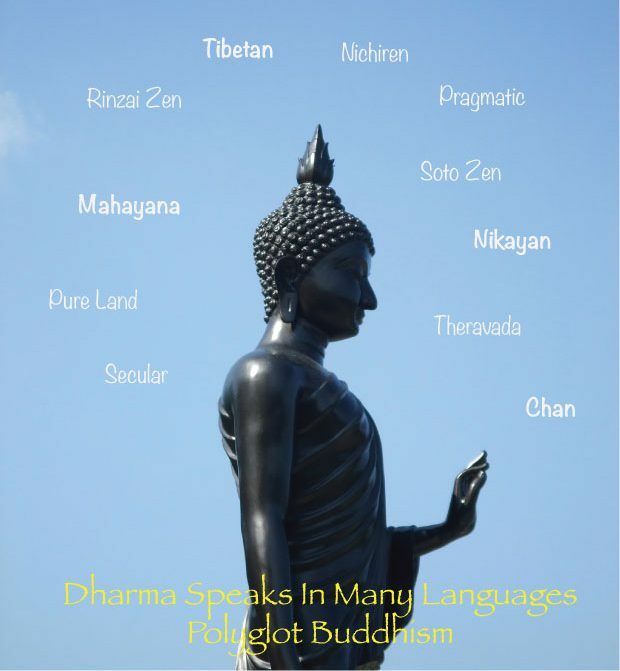 Pluralism – recognizing that there is more than one path to achieving the goals the Buddha set forth in the Four Ennobling Truths. As pluralists it is important to accept the commitments of others while maintaining the commitments to our own platform and traditions. We practice acceptance and talk openly and honestly with people that have differing world views but whose goal is one directed toward positive personal development and human flourishing. Pragmatism – the core teachings and concepts of Buddhist philosophy have relevance and value in the West the manner of applying them may need to differ. In looking for ways to effectively deal with suffering it isn’t the where a practice originates, or sometimes whether it is Buddhist or not, what is important is IS IT USEFUL AND PRODUCTIVE in promoting positive change. As pragmatists we engage daily in the pursuit of knowledge and practices that will lead to positive personal development of a social self; a social self that fully realizes that what they do matters in the causal Universe. And, Practice – that Buddhism is an action philosophy not a bunch of theories to be endlessly debated resonates as one of the foundations of practicing Engaged Dharma. Practice, practice, practice. Reading about Buddhism and studying the Dharma will teach you about Buddhism. Reading about, or watching a DVD will teach you about meditation. Listening to a teacher will teach about practice. Only taking action practicing the Dharma, practicing meditation, practicing the Eightfold Path, practicing compassion, practicing generosity, and practicing acceptance will result in your “being” a Buddhist. For a Buddhist that practice may lead them to joining in a protest that they view as having an impact on suffering, discontent and unsatisfactoriness. It may lead them to seeking public office in order to work within the system to do the same. Commit . 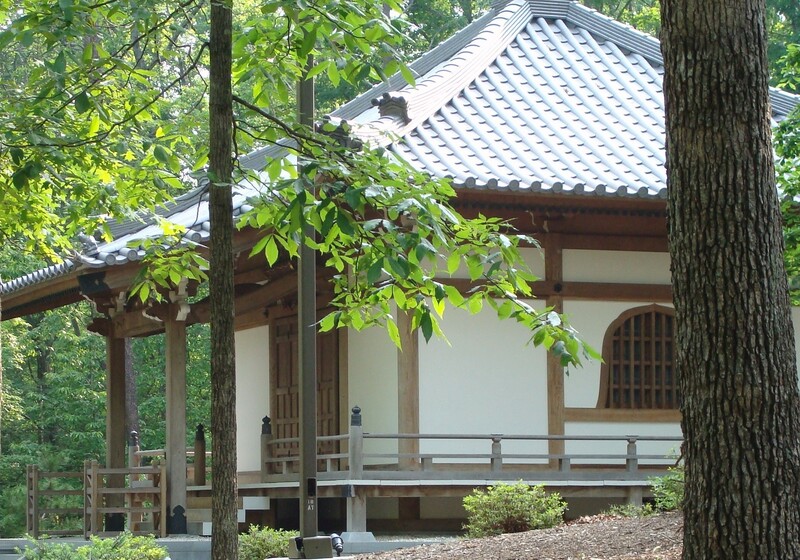 . . take your belief in the ideals of Buddhism and apply them in whatever endeavor you pursue. 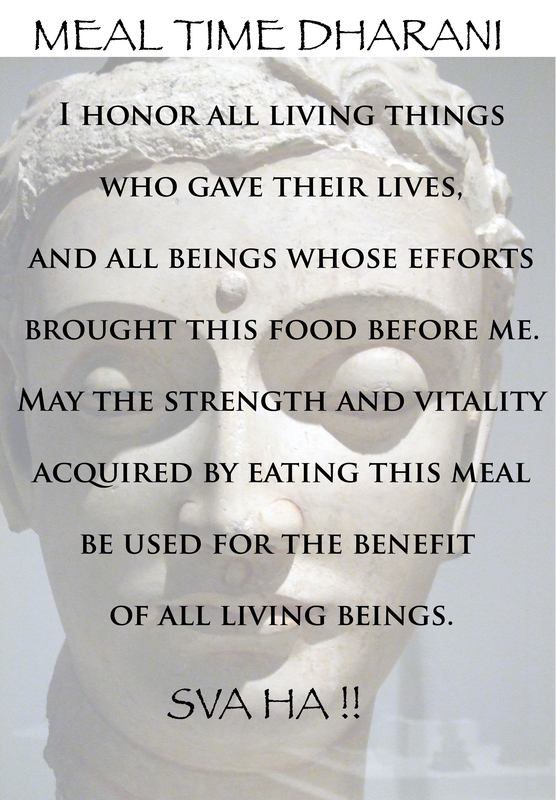 This a teaching and direction taken directly from the lessons of the Buddha. Only through our own experience can we develop an appropriate worldview committed to compassion and promotion of human flourishing. This is what engaging the dharma is all about. It is much more than political activism; it is social activism. Like a big ‘ole Enso, the Zen Circle, we’re back to politics. In Engaged Buddhism politics is just one of the myriad of ways you can engage your community using the knowledge and practice of Buddhism. Buddhist traditions begin with a regular meditation practice to develop awareness/mindfulness of your own dispositions and habits. Then we begin developing compassion and altruism through the practice of generosity leading to the other five refinements – Situational Ethics, Acceptance, Vigor, Meditation and Wisdom. All of these skills have great value in the social and political arenas where societal transformation take shape. The practice of generosity takes many forms and is a step in developing compassion and to acting selflessly. Whenever you offer your skills and time to help a person, or volunteer in an organization you are practicing generosity of spirit. Selflessly helping a neighbor carry in groceries or mowing the yard of an elderly neighbor is practicing generosity of spirit. Donating money to a worthy cause or offering dana to a teacher or temple is practicing generosity of spirit. Generosity is one example of engaging the dharma, no doubt you can think of many more that arise from the practice of Buddhist philosophy. Finding a way to engage your community by doing something you enjoy, are good at, and that can have a positive causal effect is one way to develop a positive, compassionate character. So, in Engaged Buddhism it isn’t the Buddhist tradition one practices, it is what one DOES with the teachings of that tradition. 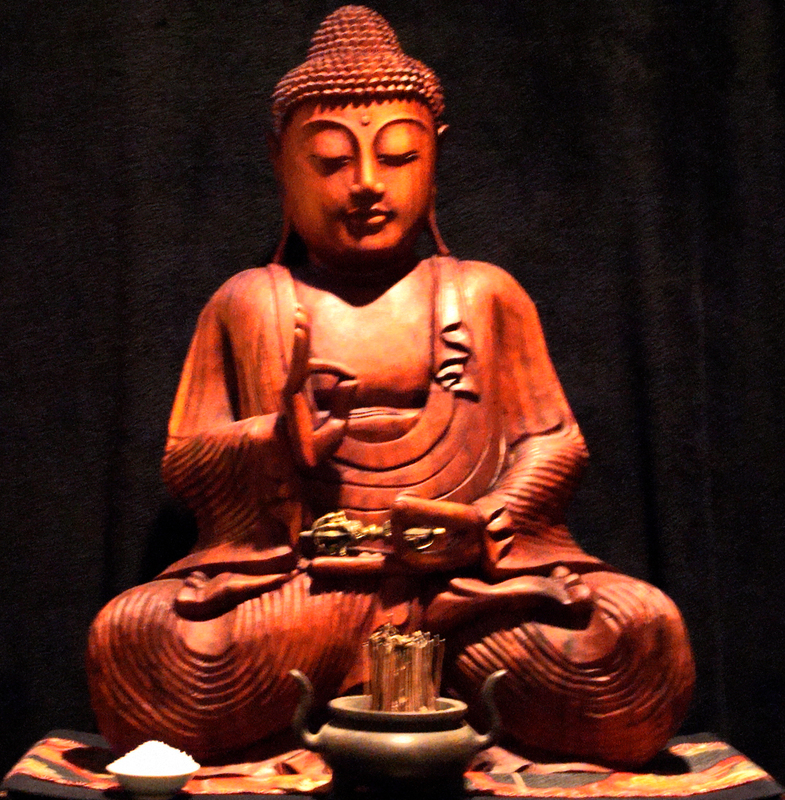 Engaged Buddhism is seeing a need and taking action based on your character and skills.